ISC’s annual Yarnspinners’ party is a treasured Festival tradition. At Mary B. Martin Storytelling Hall, from 5:00 – 7:00 p.m. On Saturday, October 5, enjoy food and fellowship with some of your favorite storytellers and musicians, including the Jonesborough Novelty Band. 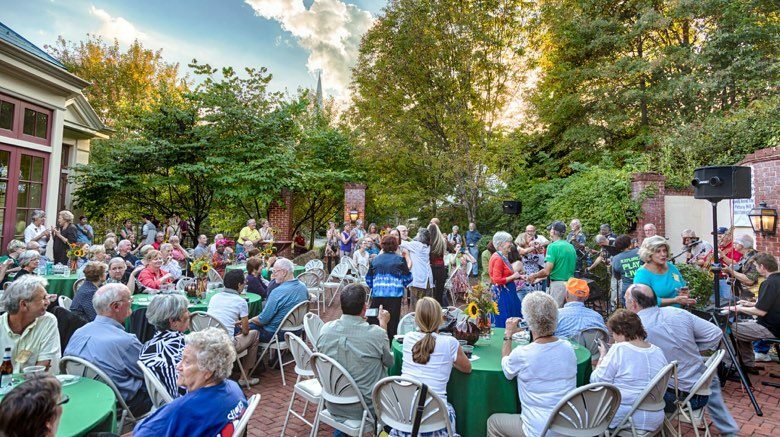 The Yarnspinners’ Party is hosted by the ISC Board of Governors and sponsored by Holston Distributing and One Stop Wines & Spirits. All proceeds support the International Storytelling Center. For reservations or more information, call (800) 952-8392, ext. 283.